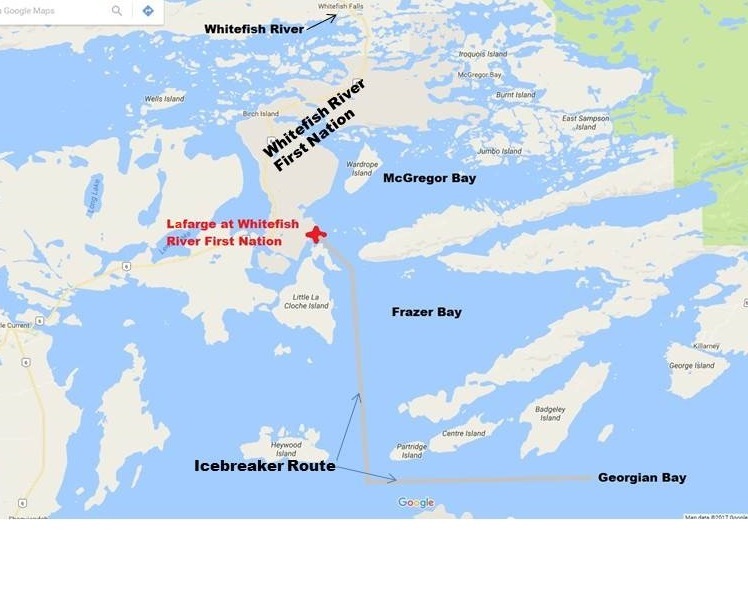 SARNIA Ontario – The Canadian Coast Guard advises the public that Spring ice breaking operations in support of commercial shipping will occur this month on Georgian Bay. The Canadian Coast Guard Ship Samuel Risley will conduct ice breaking operations at Midland Ontario on or about Friday March 24th. And, on or about March 31st CCGS Samuel Risley will be transiting to northern Georgian Bay through Frazer Bay to McGregor Bay. We have attached a map for this transit. The Coast Guard reminds all recreational ice users to plan their activities carefully, use caution on the ice, and stay away from shipping channels.